The Gothic-era Tyn Church in Prague’s Old Square, fronted by newer buildings that now make up its entrance. People often say travel broadens you. It opens your mind and your heart to new ideas, exposes you to different cultures and people, and tends to make you more accepting of differences. For me, travel is also inspiring—literally. When I travel, I often get new ideas for stories and novels. These can be sparked by people I see and meet, buildings, streets, forests, coastlines—just about anything. I recently returned from a visit to Prague and the Czech Republic. If you have been, you’ll know how beautiful that capital city is. If you haven’t been, you should put it on your list of places to visit. The Astronomical Clock in Prague’s Old Square, built in 1410. Prague itself is an arrangement of architecture that, for at least 700 years, has intended to embrace the current styles, yet fit in with the established buildings. As one of the travel guides points out, you can stand in the Old Square and see architecture of the Gothic, Renaissance, Baroque and Art Deco periods. And you don’t have to walk far to find later examples — the Cubist house of the Black Madonna is just steps from the square. At least in the centre of the city, it’s hard to find a building that’s strictly functional—almost all are beautiful in some way. The Municipal Hall is too prosaic a name for this Art Nouveau building on the National Square, home of two concert halls, including Smetana Hall. Walking through a city that’s new to me gets my imagination going. It’s easy to think of the beginnings of stories, more like dramatic situations. But in Prague, I came up with more of a feeling or a theme than a plotline. The juxtaposition of buildings from every era of the past 700 years points to a Prague characteristic: its continual embracing of the modern while honouring, and making full use of tradition. It brought to mind a kind of story of two people in a relationship, who are both trying to solve the same problem: one from a 21st-century approach, based in science and technology; and the other taking an older, more traditional perspective informed by psychology and religion. This building is the home of the Hotel Paris in central Prague. Prague has always been known as a music-loving city. Mozart loved Prague, and Prague loved him back. Today, you can find street performers at almost any time, any place—and theyre really good. These guys called themselves the De Facto String Quartet, and played a version of Stairway to Heaven that sounded terrific. I don’t know what the problem will be, yet, nor what the plot points are. But I have the characters worked out. And it will definitely be set in Prague. As if the architecture, art and music arent inspiring enough, Prague has immortalized its favourite native-born author, Franz Kafka, with this metallic scupture of his head. The sections rotate independently, according to some program that occasionally lines them up to reveal the writer’s likeness. BestSelling Reads member authors have been a busy bunch this winter, releasing 11 excellent novels. And there are more to come by May. Here are the latest releases from your favorite writers. It was the race for the bomb. America was at war a long way from home. Hitler’s war machine was storming across Europe. Russia wanted to become a world power. All three nations knew that whoever split the atom and developed the atomic bomb first would rule the world. Get it on Amazon, Kobo or Barnes & Noble. House of Archer, Book 1—The line between reality and Reality TV begins to blur for rock singer Dane Archer when he starts falling for his best friend, Lily. Scorch Series Book 1—A new romantic action adventure series for fans of romance thriller suspense and family romance series! Paradise Crime Book 3—Security specialist Sophie Ang has a new case: someone is looting artifacts from a royal Hawaiian archaeological site on Maui. Things get deadly fast—while Sophie walks a tightrope between new love and heartbreak. Get it on Amazon, Barnes and Noble, KOBO or iBooks. Scorch Series Romance Thriller Book 2—How can Dolf protect his twin’s brave, stubborn widow, Avital, and hide his feelings from her as they struggle to live long enough to reach the Haven? Book 3 in the Eastern Front trilogy—A Canadian drafted into the Soviet Red Army fights to survive the death struggle between Nazi Germany and the USSR, then elude Stalin’s NKVD to return home to Canada. Ambrose Lincoln Series Book 3—American operative Ambrose Lincoln must find an ancient religious painting in bomb-ruined Poland before the Gestapo can use it to bring about Nazi Germany’s victory. Cassidy Jones Adventures book 5—The diabolical Metal Woman takes three hostages. Her ransom demand: an unprecedented weapon, rumored to have been a gift to the Third Reich from Vulcan, the Roman god of fire. Only Cassidy Jones can stop her. Scorch Series Romance Thriller Book 3—Ex-Special Forces Luca Luciano joins an elite commando unit tracking down the suspicious origins of the Scorch Flu plague. Sparks fly as he and his commanding officer, Dr. Haunani “Nani” Kagawa race to find the bioterrorists responsible. Dante, the genius Luciano brother who made millions in the California IT industry, faces twin challenges when the Scorch Flu pandemic hits: his own autism, and getting an actress from Malibu to JT’s safe compound in Idaho. Contemporary romance by DelSheree Gladden, part of the Wedding Dreams boxed set—20 delicious nuptial romances. Gretchen finds a man injured on the road. After he wakes, “John Doe” has no memory. As he pieces his life together, he begins falling in love with the woman who rescued him. Ambrose Lincoln series, boook 4—Has a DEA agent found unmistakable proof that Christ walked the land of the Aztecs fifteen hundred years after his crucifixion in Palestine? Ambrose Lincoln can’t dig past the charred fragments of his memory, but he must unravel the legend of the white-skinned, blue-eyed god whose sixteenth-century ministry, death, resurrection and promise to return parallels the story of the man called Christ. Pre-order it from Amazon or Kobo. The Scorch Flu pandemic sweeps through Colorado, sending adrenaline junkie Cash, one of the six Luciano brothers, through the wilderness to his family’s survival compound in Idaho. On the way, he finds a traumatized woman with no idea where or who she is. Find more information on Toby Neal’s website. Your favorite BestSelling authors are always hard at work on new books to delight, inspire, thrill and scare you. So keep watching this page for new books! 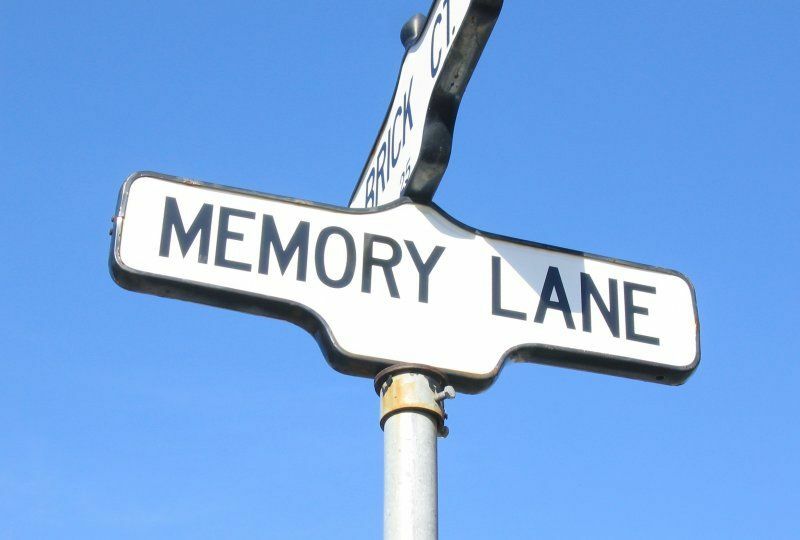 Monday Musings: What’s the difference between memory and history? History, the stuff we’re taught in schools, read in books and watch on screens, is supposed to be the official, collective memory of our culture—or at least part of it. But when you talk to people who have direct experience in something mentioned in the history textbooks, you’ll often find context and texture that somehow get missed. The Second World War certainly has its share of historical record and analysis. I cannot begin to count the numbers of books, articles, reports, films and more about it, in fiction and non-fiction. But in talking with someone who was there at the time, I found tiny details that others somehow missed. One memory that inspired me to write my Eastern Front trilogy came from Maurice, my father-in-law, who was drafted by the Soviet Red Army in 1941. He told me that as an officer, he had good leather boots, but the enlisted men had only cloth boots, which wore out as the army retreated before the German invasion of Operation Barbarossa. When the cold weather came, the Red Army had no replacements for those boots (among a lot of other shortages), and the men had to wrap their feet with anything they could find, like old newspapers. I did a lot of research for the trilogy: reading books, articles and reports, watching films and, of course, interviewing my father-in-law, who passed away in 2003. Yes, it took me a long time to write those books. But I never came across any references to the Soviet soldiers’ boots wearing out. This little fact led to my title for the first volume in the trilogy: Army of Worn Soles. Under the Nazi Heel, book two in the trilogy, describes the Ukrainian resistance to the brutal German occupation of 1942–1945. One striking story from my father-in-law was how he and others in the underground resistance army would sneak into the rail yards at night and switch the destination cards on the boxcars. I told him that seemed more like a prank than a resistance effort, but he explained that the cards determined where the boxcar’s contents would be sent. So a boxcar filled with ammunition would not reach its intended destination, which hampered the enemy’s supply efforts. 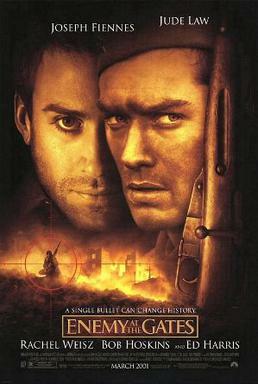 I still did not think much of this until I read William Craig’s Enemy at the Gates: The Battle for Stalingrad, upon which the movie with Jude Law, Rachel Weisz and Joseph Fiennes was loosely based. In the book (this did not appear in the movie) the German 6th Army, hemmed in by the advancing Soviets and running short of supplies, received a boxcar full of crates of condoms instead of ammunition. A nice-to-have, not a need-to-have. Well, not when the enemy is literally about to overrun you. I just published the third book in the trilogy: Walking Out of War, which deals with the last year of the war and its aftermath. A memory prominent to Maurice was how much better the equipment and the food were in the Red Army compared to the beginning of the war. That’s mostly because by 1944, the USSR was getting a lot of supplies from the Allies, especially the U.S.A.
That was a godsend for hungry refugees. Maurice took as much as he could to the refugees, who would use the ham fat for various recipes. It may not to be to the taste of us in the prosperous 21st century West, but it kept a lot of people from hunger in 1946. Little details like that make history come to life for me. It’s crucial to preserve these memories that don’t make it into the history textbooks, because they make the grand sweep of history immediate to those of us who weren’t there. What do you think about the difference between memory and history? What specific details do you think the history books have missed? Let me know in the Comments. Scott Bury‘s third book, a memoir in novel form, publishes on Amazon on June 22.